As Sydney leaves are falling and the winds start getting crisper our friends in the UK are starting to frolick through fields and soak up some hard-earned rays. 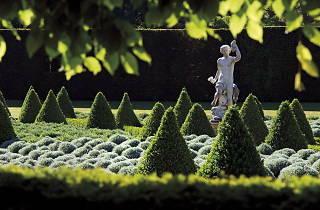 If this is stirring a bit of spring-envy in your heart then why not book a cheeky flight to London real-quick (so easy!) and follow our guide for where to stay, eat, drink and spectate in their balmy months. From outdoor shopping and gallery hopping to posh sipping from a shared punch bowl, we've got you covered in three seperate areas. Want a quick getaway? 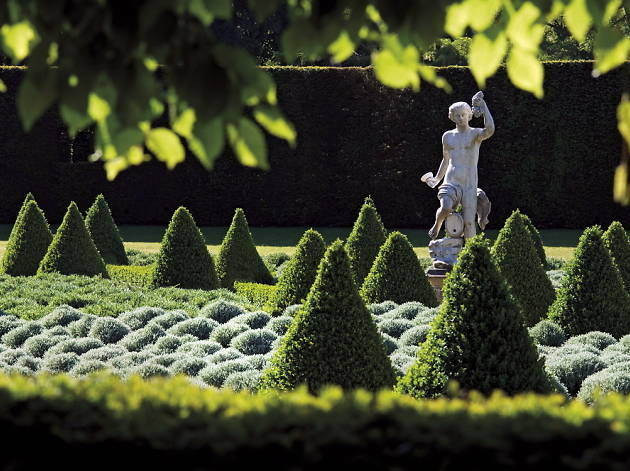 Try these short trips from Sydney. The streets of Shoreditch and Spitalfields are loaded up with some of London’s best fashion finds. For some British boots, moccasins and shoes, including the nation’s finest Brogues, stop by Grenson, where it’s all about handmade and high quality. The Victoria Miro Gallery hosts some of the best exhibitions in East London and a visit to this former furniture factory rarely disappoints. Located on the border between Hoxton and Islington, the gallery covers two floors and a landscaped garden overlooking Regent’s Canal, which has been used for installations by artists such as Yayoi Kusama. When two great chefs get together and buy a dodgy pub in Hackney, you can expect some pretty good things. In the case of the Marksman, it’s amazing things, courtesy of the creative genius of Tom Harris and Jon Rotheram, who list St John, One Leicester Street and Fifteen on their CVs. Menu highlights include devilled crab on toast, beef and barley buns with horseradish cream, fried salt hake and potato rissoles, curried duck and a chicken and wild garlic pie for two. Save room for pudding because the brown butter and honey tart and quince and saffron sorbet are must-orders. Table drinks service from friendly staff, booth seating, a snooker table and a minimalist design with exposed brick and timbers? Yeah we’re at home here at Original Sin, a Stoke Newington drinking den that was named Best New Bar by Time Out London last year. Order a Red Hook (rye, maraschino and Punt e Mes) or an Iron Butterfly (peppercorn tequila, cider brandy, mezcal, apple juice, lime, honey and Gamma Ray American Pale Ale) for £8.50. 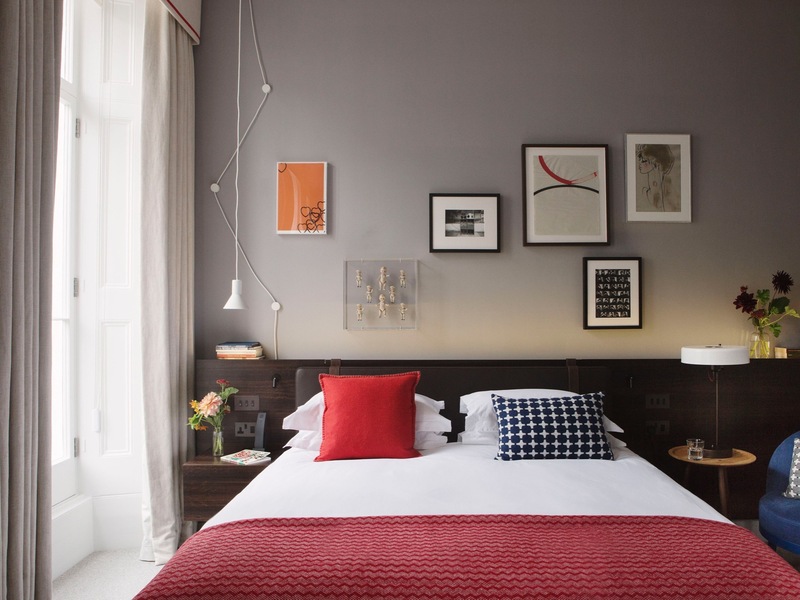 Commanding a brilliant location on Shoreditch High Street, the Ace Hotel London Shoreditch is the pick of digs in this part of the capital thanks its designer rooms, the Bulldog Edition café (which serves up the hood’s best coffee), minimalist Lobby Bar, and modernist English brasserie Hoi Polloi. Book an Ace suite, which has a wrap-around terrace. Housed in a hulking former power station, the Tate Modern inspires visitors well before they walk into this remarkable gallery. In the original Turbine Hall there are large-scale temporary installations, while the main galleries group artworks according to movements (Surrealism, Minimalism, Post-war Abstraction). Upcoming exhibitions include Picasso 1932: Love, Fame, Tragedy (Mar 8-Sep 9). 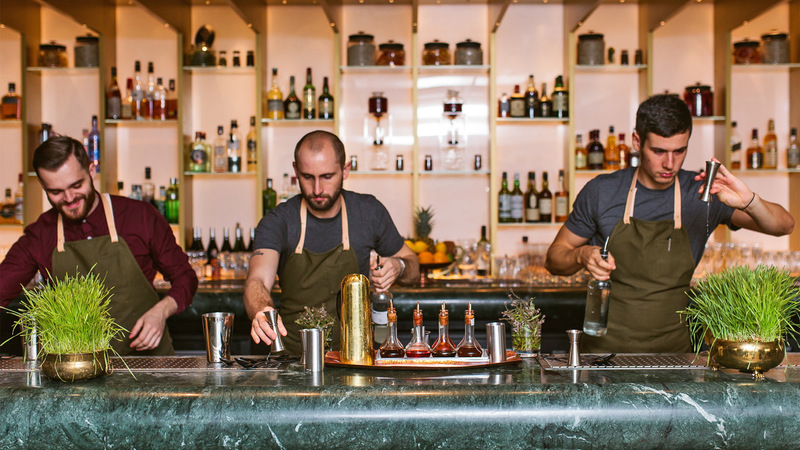 London’s bar innovator of the moment, Ryan Chetiyawardana, just keeps doing great things with the menu at Dandelyan at the hip Mondrian London at Sea Containers (see ‘Stay’). 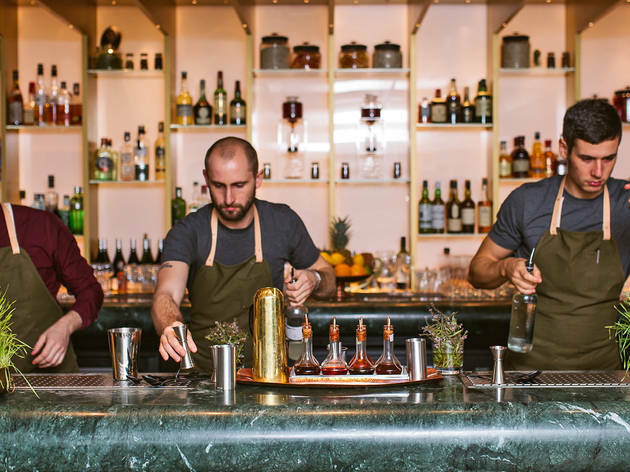 Here, Chetiyawardana and the city’s Best Bar Team (courtesy of the 2016 Time Out London Bar Awards), stir, shake and mix fresh concoctions and twists on classics that star local fruits, herbs and botanicals fresh from the garden. Brixton Village Market has become the home of budget eating in south London and here, you’ll find over 20 new cafés, restaurants and takeaways featuring cuisine from right across the globe. On the south side of the Thames, Mondrian London has been attracting the city’s creative set thanks to the cocktails at Dandelyan, British fare at Sea Containers, signature treatments at Agua Bathhouse and Spa and the River View Balcony Suites, which offer uninterrupted views up and down the Thames. There are some great finds among the bric-a-brac and old wares at the Portobello Markets. Get there early to beat the big crowds and grab a great British pub lunch after you’ve snapped up that antique clock, vintage vase or pair of moccasins. The main antiques market is on Saturdays. 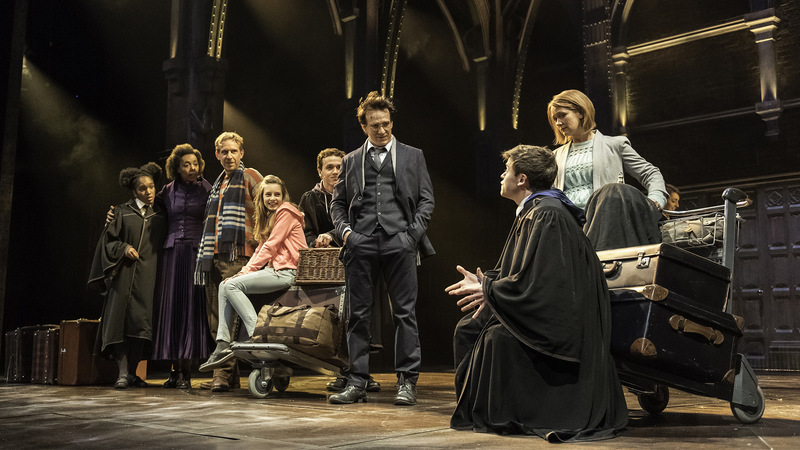 London has one of the best theatre scenes on the planet. 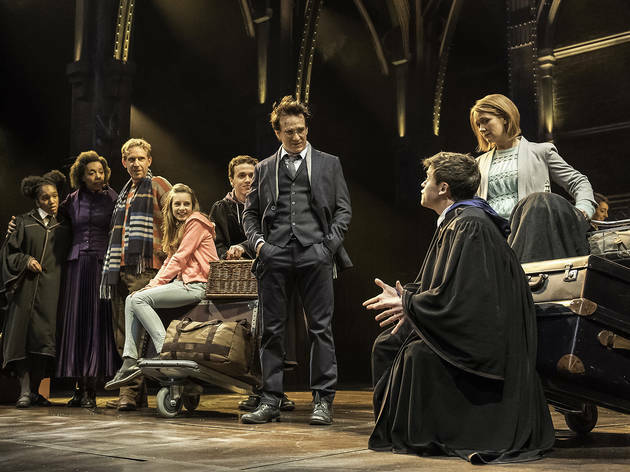 Redefining the term ‘hot ticket’ is Harry Potter and the Cursed Child, at the Palace Theatre; Potterphiles should book their tickets to this before booking their UK flights. Score a table outside, order a pint of prawns, some chicken liver pâté and a glass of the Beavertown Gamma Ray and you’re in business at the Westbourne, a pub that’s been a Notting Hill favourite for decades. 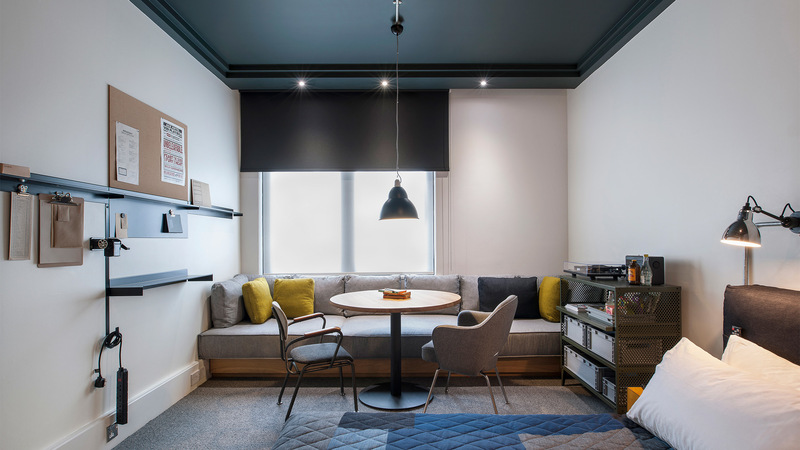 Tucked away at the back of the hip London Edition hotel, the Punch Room, with its vintage design and furniture, classic cocktails served in fashionable glassware and the vibe of a lounge room, wins us over every time. 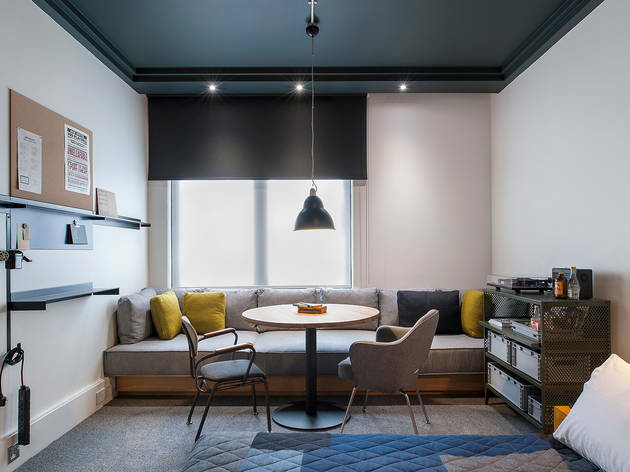 At the Como Metropolitan London in Mayfair, 144 modern, spacious rooms and 19 apartments overlook Hyde Park. Find classic cocktails aplenty at the Met Bar, and Nobu tucked away on the first floor. Perhaps the biggest drawcard for this hotel are the treatments on offer at the Como Shambhala Urban Escape, where, after a Shiatsu or Thai massage, there’s a special wellness room service menu to be had in your room. British Airways flies daily to London via Singapore on modern Boeing 777-300ER aircraft featuring First, Club World (Business), World Traveller Plus (Premium Economy) and World Traveller (Economy) cabins. A ticket in Club World offers flatbed seats, restaurant-calibre cuisine, French and Australian wines, hundreds of hours of entertainment on demand and great British service from check-in to disembarking. From Notting Hill to Shoreditch, we've picked the hot hotels in the British capital you need to be staying at.